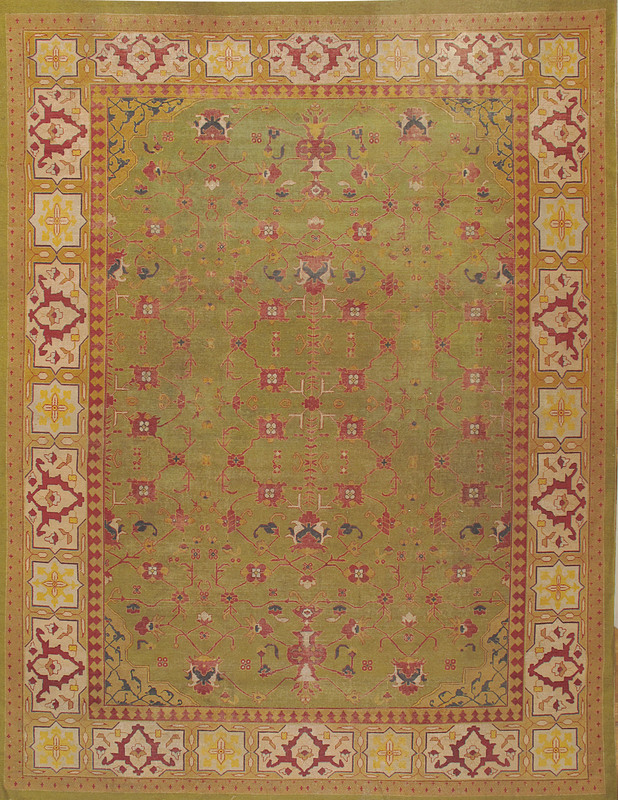 During much of the history of the Indian Mughal Empire, Agra was the capital, and architects, artists and artisan, including carpet weavers, were brought here from all over the Muslim world to enhance the city’s beauty. The remarkable architecture of Agra still exists today. 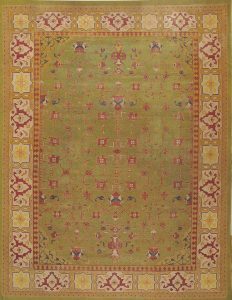 From the early 17th century onward, wonderful rugs and carpets were woven there, most in allover palmette patterns on rich red grounds. 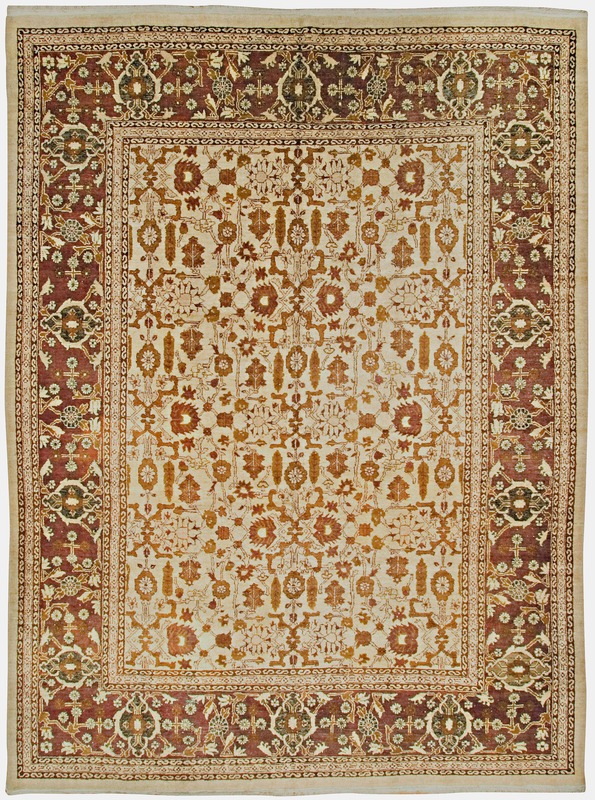 These antique Indian carpets have always been desirable as aristocratic room décor. 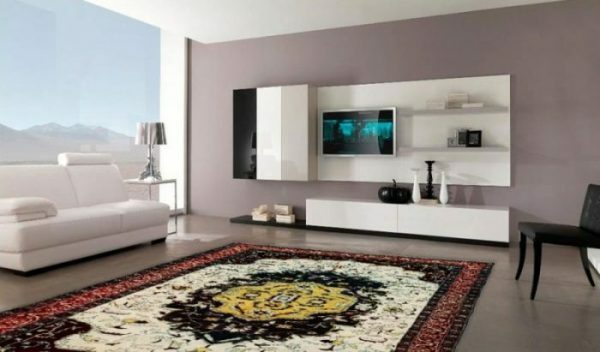 Agra rugs and carpets of the 19th century are equally desirable and are prized for their rich tonality, large square sizes and traditional patterns. 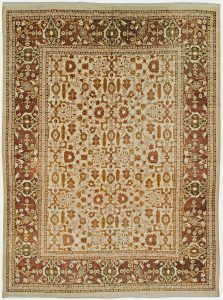 Many rugs from the later 19th century were woven by prisoners in the Agra City Jail for export to Britain.